Official trailer is out and it’s angsty alright. The story is the prequel to The Legend of Qin, depicting the lives of Tian Ming’s mother and her romance with Qin Shi Huang and Jing Ke. 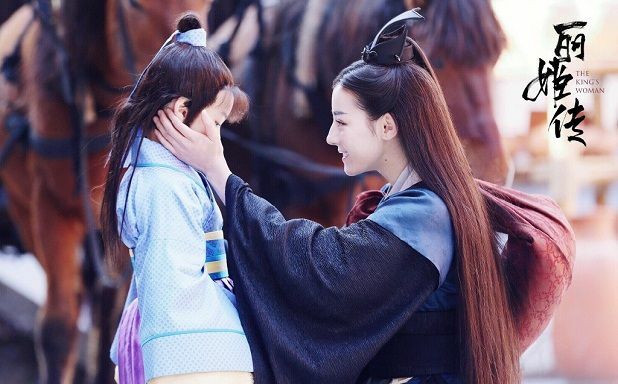 Dilraba Dilmurat takes on the lead role as a carefree woman turned dark after being taken in by the King, played by Zhang Bin Bin. After this and The Flame’s Daughter, let’s give these two actors a break from each other. Lol. I wonder if I’m too fast, no new stills yet. Lol. I will add new stills tomorrow when they are released (hopefully!) For now, have some older pictures. Their little son…or is it not? Scandalous! 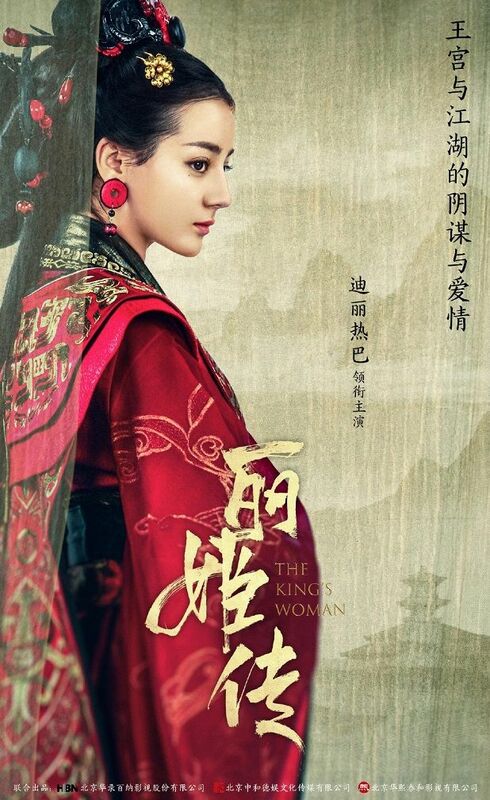 Directed by Hu Yi Juan (Love YunGe from the Desert) and written by Chen Hui Ru (The Fierce Wife Final Episode) and Zhu Guang Zhong, The King’s Woman has a tentative release month in July or August premiers on August 14th with 40 episodes. REALLY? ONLY 40! 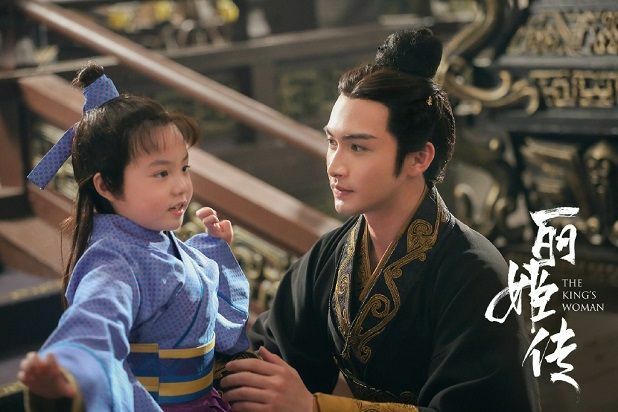 This entry was posted in Entertainment News and tagged Cdrama, Dilraba Dilmurat, Liu Chang, Novel Adaptations, The King’s Woman (秦时丽人明月心), Vin Zhang Bin Bin by Kappy. Bookmark the permalink. Hm. Raba reminds me of GLNZ, but she has more range in her acting. I don’t think she’s doing the role justice based off of the trailer. Seems to be lacking that aura. In what way would she remind you of Gülnezer/Gulinazha… they don’t look alike. Is it just because they’re both of Uyghur descent….? The story seems a tragic! I actually really like Dilraba’s acting here! It looks really good! So many crying scenes yet she looks natural in every one of them, especially that scene where she cried in the bath tub! And that particular scene where she turned her head back in the yellow costume, her gaze looks so evil lol. Zhang Bin Bin looks like an adorable sad puppy in the trailer *cries*! Good job casting him as Ying Zheng because he looks great in his role so far! The drama will get released in July or August of this year or the next year? I hope it’s this year. 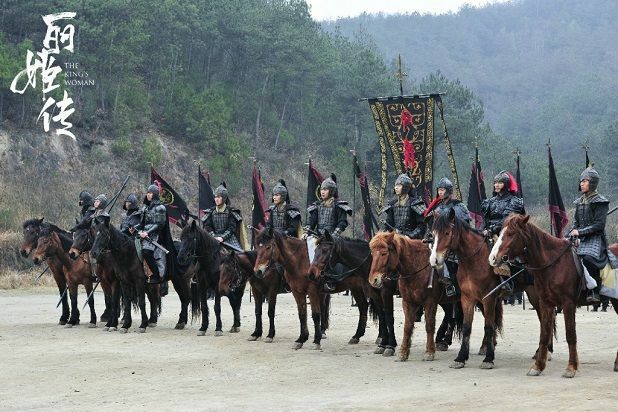 I’m putting this in my “To Watch” list considering this is the prequel to The Legend of Qin (TLOQ). I quite enjoyed TLOQ but I have to be honest by saying that I was interested in Ge Nie and Duanmu Rong’s story over Tiang Ming’s story. Lu Yi & Michelle Chen as Ge Nie and Duanmu Rong did such a great job and their chemistry was spot on! In my opinion, they were the true lead actors of TLOQ. I’m excited for this!! The acting and styling looks good. I’m glad it’s 40 episodes long, and not more. It looks like it’ll be a lot of heartbreak, I’m going to need something light to watch it with. Looks great! It almost looks more like a movie than a drama. THANK GOD it is only 40 episodes long! Too many C-dramas these days are way longer than they need to be. It will be good to see Dilraba in a more serious role. I think she is one of the more talented high profile actresses of her generation but all her recent characters are the same cheerful ditzes so hopefully this gives her a chance to stretch her acting abilities more.